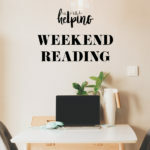 Oftentimes when I read about the importance of saying no and setting boundaries, the advice seems to assume that the things being declined aren’t all that desirable: unmanageable amounts of work, exhausting social commitments, and so on. This week, I learned how hard it is to turn down things that might be very enjoyable, but yet feel like too much. As soon as I was on the mend, I wanted so badly to connect with friends, get back to work, and feel more engaged with the world around me. Even quick forays into doing more quickly resulted in my feeling lousy again: another unequivocal request from my body for me to slow down. Possibly to a full stop, if only for a little while. This weekend, I’ve practiced saying no, not only to the things I (secretly or not-so-secretly) don’t want to do, but also to things I’d really like to do, if only it weren’t so important to be gentle with myself right now. It has been challenging, not because any external pressures are being applied to me, but because it’s still my instinct to muscle through this period of feeling unwell. Being honest about what I can and can’t do right now means that my actions align with the truth of what I feel in my body. There have been times in my past when going about my usual routine in the face of a health or psychological challenge was actually healing and soothing. This isn’t such a time, and as long as I’m going to commit to healing this summer—whatever that ends up looking like, for me—I owe it to myself to do so honestly and wholly. Only a few hours after saying no to a few things I was anticipating happily, I feel sad to be missing out, but a little more rested and at peace. A hopeful sign that I’m tuning in wisely. Wishing you a week of heeding intuition, whether that means saying no, saying yes, or saying both when each makes sense. 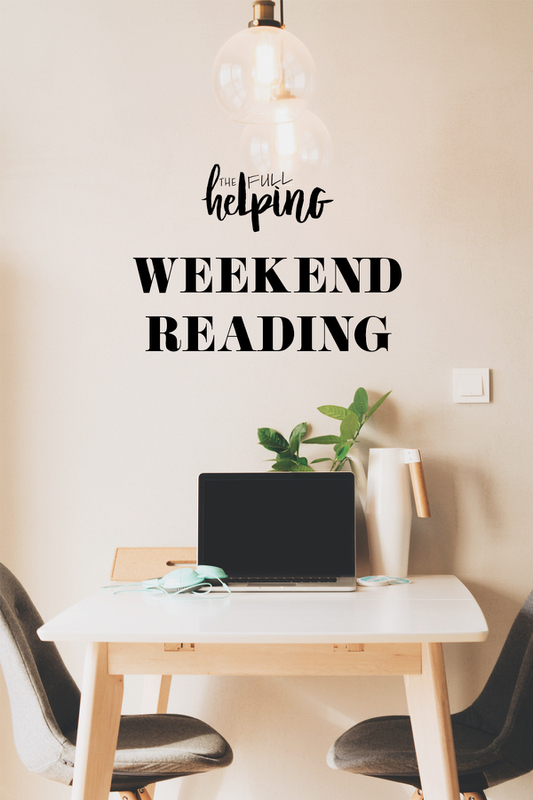 Here are the recipes and reads I’ve been catching up on. 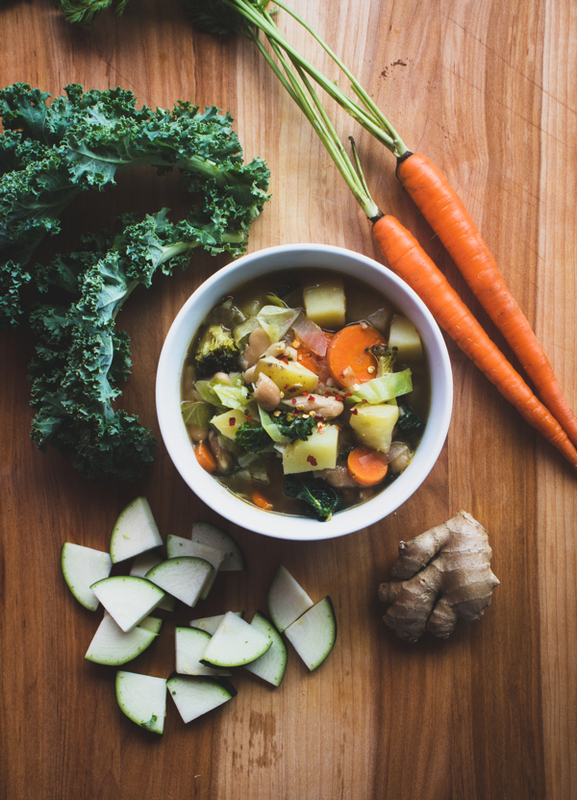 A spicy, earthy, simple vegan soup is just what the doctor ordered right now! 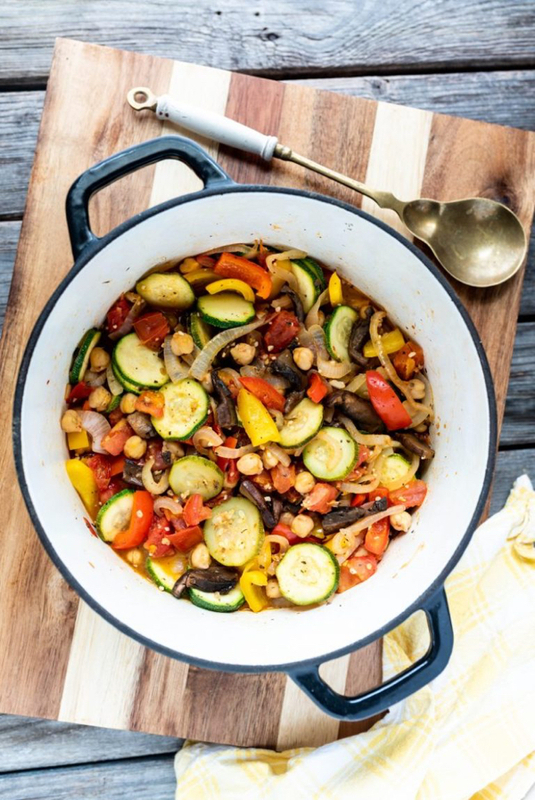 I love Steven’s idea to add meaty portobello mushrooms to classic ratatouille. 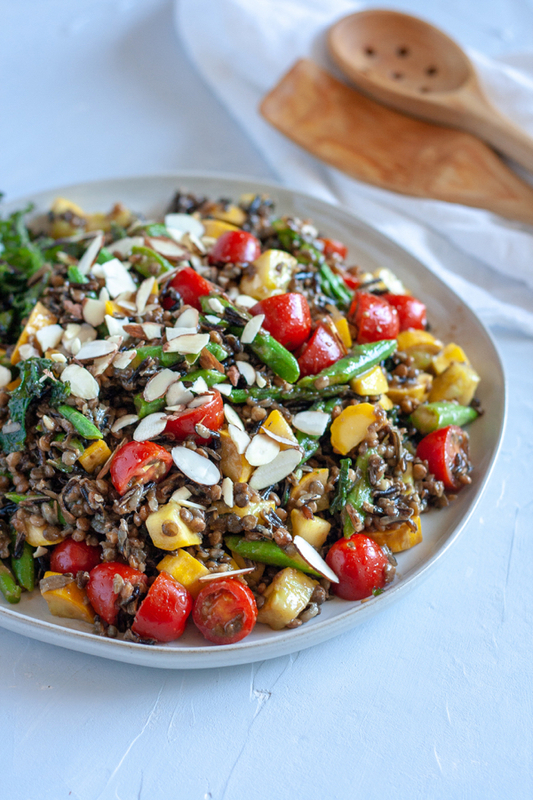 This hearty, plant protein-packed dish is my kind of summer salad. I love the combination of lentils and wild rice. 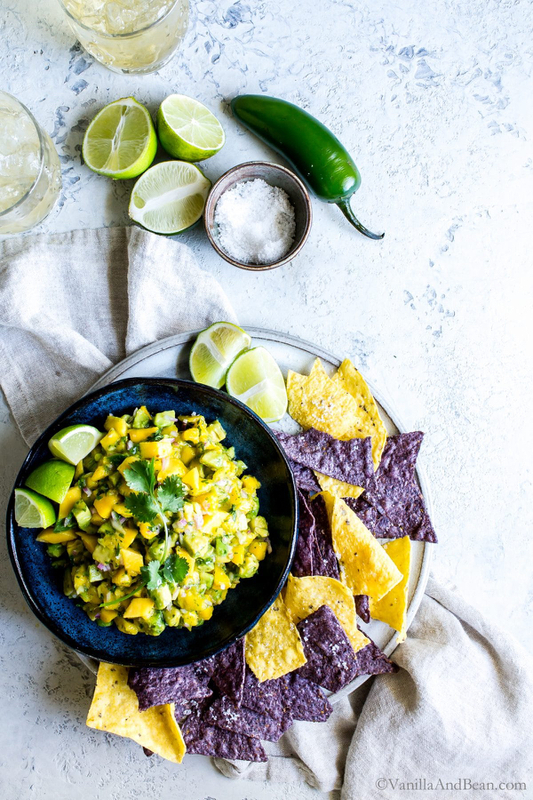 I’m always happy to have a new mango avocado salsa recipe! 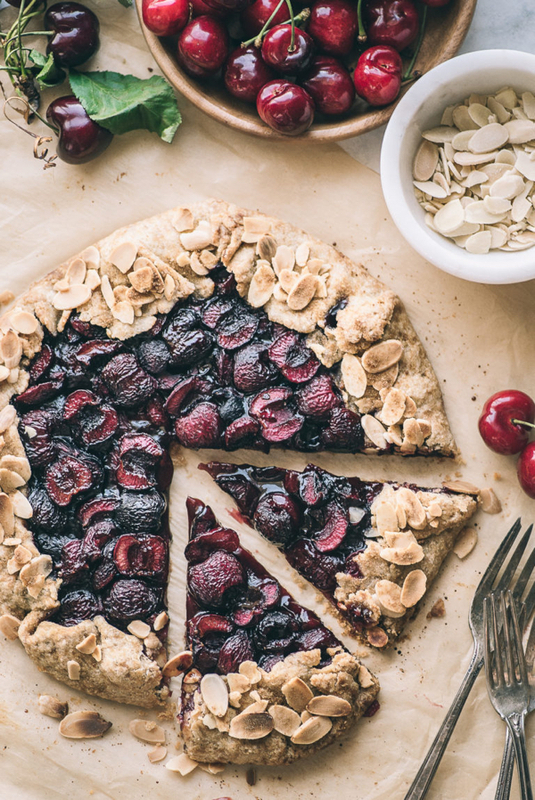 Elena’s vegan cherry almond galette is show-stopping. 1. This past week has issued a powerful reminder that mental health struggles often go unseen. Joanna Goddard shared a powerful reflection depression and suicide, which is worth reading for the comments that were shared as well as the original post. 2. Relatedly, it can incredibly difficult to know what to do or what to say when a loved one is struggling with severe depression. Here are some broad, yet thoughtful tips. 3. Today’s Dietitian addresses the benefit of family meals and tackles the challenges that folks face in making them happen. I appreciate the invitation to toss out the idea that everything has to be made from scratch: appliances and wholesome store-bought options are a powerful means of making at-home meals doable for families, and for all of us! 4. A review of a new memoir about endometriosis and how poorly it’s often understood by healthcare providers. 5. Gut health is a huge topic of interest, and there’s a lot of buzz around probiotics and probiotic-containing foods. Still, there’s a great deal we don’t understand about how the microbiome works; it may take more time for us to identify all of the factors that actually enable beneficial bacteria to colonize and flourish the gut. Coming up, a lovely summer salad that utilizes my fave balsamic Dijon tahini dressing. Can’t wait to share. On another front, thanks for introducing all of us to the lovely blog, Moonriver Kitchen. I love her recipes and can't wait to follow her from here on out. Have a lovely week, Gena! Possibly the only thing worse than being sick is being sick, feeling better, doing too much, and then getting really really sick. I feel like as i approach my late 30s my body is just needing more sleep, and more careful handling; i just don’t bounce back from being sick or not sleeping or jetlag the way i could just five years ago. Can I ask, how did you find my blog? I appreciate you sharing my recipe.